The Spoors Team have been working furiously on the routes for 2019, including new single track that is sure to challenge and thrill the most widely travelled cyclist and runner. While the distances of the days are not huge, the Single Track will traverse terrain that is spectacular and challenging! You are guaranteed to feel a sense of accomplishment when you reach the finish! We are very happy to say that the Euro steel Drak Descent has reached the 450-rider cap. Anyone entering thereafter will go onto a waitlist and should any cancellations be received will be released off the waitlist. With respect to the shorter Euro steel Challenge MTB ride and GWK trail run there are still entries available. 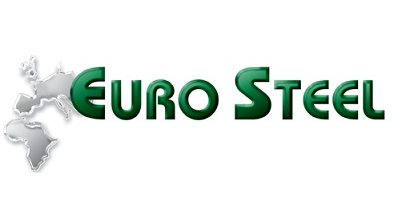 Our principal sponsors, Eurosteel have been absolutely amazing in their support of this event – and thus mountain biking in general in our area. We as the Sani Spoors team and the Euro Steel organising committee would really like again thank Colin and David Wilson for assisting us in making this event a possibility. – GWK for their involvement in the trail run. It is great to have FNB on board as a sponsor and encourage you and your families to support an afternoon of top class music entertainment at the Underberg Country Club on Saturday 19 January 2019. – Tip Top Dairies for the stainless steel containers for water and refreshments at the end of the days riding and running. – Ola Ice creams – Sponsorship of Ice cream for all competitors at end of day 1. Braai packs and bar facilities will be available from 18:00. Emergency Registration: – if you REALLY could not make it to normal registration!! Cut off for day 1 will be at 12.30 at the Euro steel’s waltzing bridge and 11 .30 at Glenhaven on day 2 . We request that riders who are stopped or redirected onto the shorter course respect the decisions made. It will be for your own health and safety. Please note that our sweeps are familiar with the course and physical demands required, they have our full support to arrange for competitors, that they know are not going to complete the event or may be putting themselves at risk from a health perspective, be removed at various other selected cut off points along the route. “Meet the Sponsors and Landowners” evening will be held at GLENCAIRN – Home of Sani2c (on the Sani Pass Road) on Friday 18th Jan at around 6.00pm. It is hoped that after Registration which is at the same venue riders and runners will stay and mingle with our sponsors, landowners and other riders and runners and enjoy a few drinks and food that will be for sale at Glencairn. You will be able to select your meat supplied by our local butchery, Underberg Meat Supplies and then braai it yourself on the fires provided. Batches will go off at 5 minute intervals. Should you feel that you are batched incorrectly please will you bring proof to substantiate your claim, to the registration on Friday so we can consider your concern. NO changes will be made on race day. Any rider moving up a batch without prior approval will have a 1(one) hour time penalty added to their team time. Late Substitutions. Substitutions after close of entries at midnight on the 15th will cost R 200.These will be entertained from 16h00 on the day of registration. It is critical that should you change your partner that the substitution is done on the system as the full race entry file containing Medical and Ice numbers are given to the medical team. IPSS under Doctor Grant Lindsay will be handling any medical issues. ICE arm bands with contact telephone numbers will be issued to all competitors at registration. We must stress that the race is challenging and technical in nature and we request that riders ride at speeds suitable to their capabilities. We really want to avoid any accidents. We would like to request that you all install the mySOS app onto your phones so that in case of emergency, whether it is for yourself, your partner or fellow participant assistance can be called. As the Drak Descent is a Cycling SA sanctioned event there is a legal requirement on Sani Spoors, as the race organisers, to collect CSA Day Licenses at R35 per day (or R70 for the event) from anyone who is not licensed with Cycling SA for 2019 It is up to each rider to be able to prove at Registration that they have purchased a 2019 Cycling SA license – or they will have to pay the R70 prior to us being able to issue them with a race number board. As advised on the Sani Spoors webpage there will be no cash prizes awarded. There will however be product prizes handed out at the end of day 2 for the top Men’s, Women’s, Mixed and junior winners and second positions. Sani Spoors is also sponsoring product prizes on both Day 1 and Day 2 – to the first two men and women in both the Trail Runs. Good news is that Howick Cycle and Gear, represented by Travis Boden (076 913 3879) and Sean Symons (072 454 7689), will be present at Sani Spoors from Friday afternoon/evening to assist you with minor bike maintenance and repairs. Farm Equipment and Garden Centre (033 – 701 1119) in Underberg (next to the Shell Garage and KFC) also stock basic cycle spares and equipment. We will have two water tables on day 1 and three on day 2 as well as the river along a large portion of the route. This is a lot for the distances but once again we must stress it is a challenging route. We do warn that we have in the past experienced days of extreme heat and request that riders and runners take their own liquid and not to rely solely on the water tables. We would like to encourage participants to once again make use of the Shuttle Service offered by Noah’s Ark Pre-School. It alleviates traffic and contributes to the bursary fund for less privileged Learners that attend the School. The Euro steel organising committee would like to appeal to all riders / runners to refrain from riding or running on any of the route other than the tracks forming part of Sani Spoors. We have got permission from landowners along the route to use the tracks on the race days only and persons using the tracks illegally are putting the whole race in jeopardy. Thanks to you all for the wonderful response to the Euro steel Drak Descent and GWK Run the rivers. Interest in the ride and run has been fantastic and we are sure that all will be in for a great two days of riding, running and fun. If you hear that your team mate has not received an email Newsletter please ask him/her to email me their correct email address. We have had a fair amount of difficulty with some of the emails coming back “Undelivered”. Otherwise, 15 days to go (no festive season excuses anymore!!) and watch your emails and Facebook and website for more updates. We are looking really forward to hosting you in Underberg for a ride that promises to be challenging, exciting and beautiful. Our target at the start of preparation for this year’s route was to prepare a route that we felt 90% of riders would be able to ride 90% of the way. We think we are achieving this.